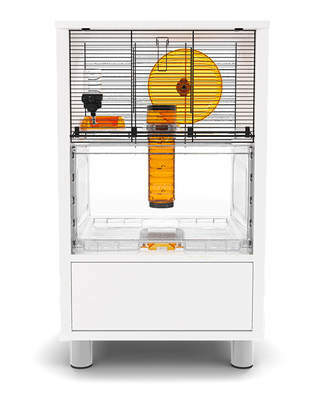 How Do I Clean My Hamster's Teeth? 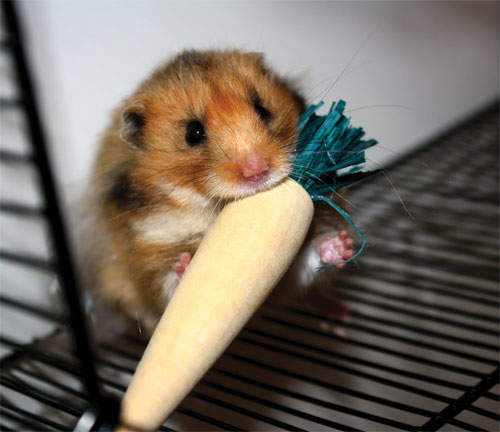 If you are worried about your hamster’s dental hygiene, then there are lots of things you can do to keep your hamster’s teeth clean - particular foods, diets and chews will help your pet’s teeth remain strong and healthy. A healthy tooth should be quite straight, free of blood, and about the same length as the one next to it. There’s no need to be concerned if your hamster’s teeth are a bit yellow - this is natural. Older hamsters having white teeth can actually be symptomatic of a disease, so don’t worry if your pet’s teeth are not as white as your own. 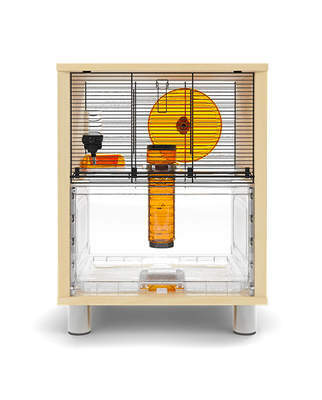 Hamsters will really enjoy being given a number of different fruits and vegetables, alongside their usual dry food. Not only does it introduce some variety to their diet, but it can be great for their teeth. There are lots of different dry foods to choose from, from pellets to seeds. It's best to steer clear of any that have been mashed or ground, as these may cause tooth problems.You might want to try a few different formulae throughout your pet's life, and see which they enjoy most. Just be sure to introduce these changes gradually, as hamsters are prone to developing stomach problems if their diet is changed drastically in a short space of time. Whilst your hamster may really enjoy a number of shop-bought treats, it’s important to offer them in moderation, and to pick those which are free from sugar. Hamster’s teeth grow throughout their lives, and they are sometimes in danger of becoming overgrown. If this happens, too-long teeth can actually prevent your pet from eating properly, which is obviously a serious problem. You’ll want to take them to the vet to get them treated as soon as possible. Since it’s difficult to tell when your hamster’s teeth need a little bit of wearing down, it’s a good idea to let your hamster deal with them by itself. A good tip is that offering a pet some way of regulating their tooth length by themselves (in the form of a chew toy) can prevent the owner needing to intervene. 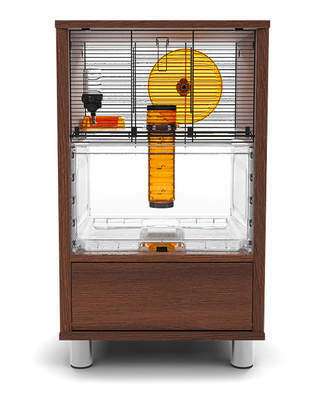 There are many different chews that your hamster can enjoy, but if you choose to pick your own piece of wood to offer then steer clear of those which are harmful to small mammals, those that break too easily, or those that have been treated with a varnish or a pesticide. Hamsters have very different digestive systems to humans, which is why so many human foods can cause problems. 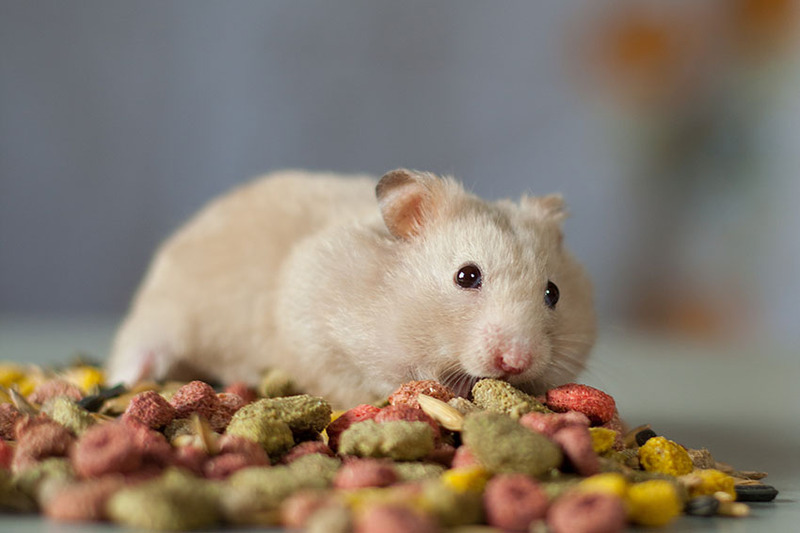 It’s a good idea to avoid giving your pet most human foods, but if you’re unsure what they can and can’t eat then have a look at our list of hamster foods that are suitable for them. 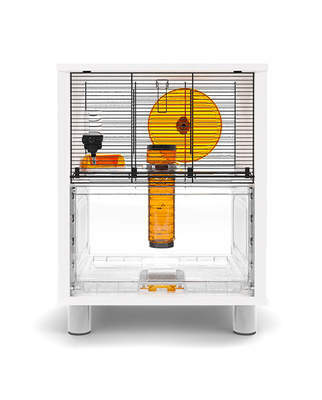 One thing that many owners don’t know is that the bacteria from a human’s mouth can cause problems for your hamster - it is for this reason that many owners advise that you don’t share any food you're eating with your hamster, or kiss any part of its body.